Michelle Champlin BSc. Pod., S.R.Ch. U.K., M.Ch.S. U.K.
Michelle Champlin, Chief Podiatrist, is an expert in lower limb foot biomechanics. Working with professional athletes, extreme sports, problematic diagnosis , second opinion, biomechanical lower limb assessment. Michelle works with military, endurance, extreme skiing, power lifting, professional golfers, foot problems associated with female hormones, ligamentous back and lower limb problems associated with male hormones, children’s flat feet and walking problems. Recent innovations include the Footerella TM, Tri-step system TM for men, DIFC orthotic for men’s dress shoes, Heel buzz for heel pain plantar fasciitis, Verruca Vac for painless wart and verruca treatment, Up and Out treatment for ingrown toenails. 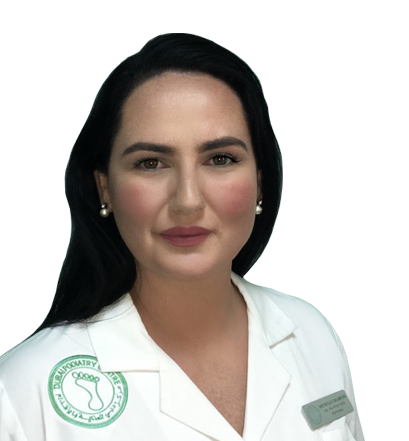 Leslie has been with the Dubai Podiatry Centre for 9 years. Her expertise is a collaboration of medical, education and healthcare administration. In her spare time she enjoys doing arts and crafts and her work can be seen in our Instagram posts. 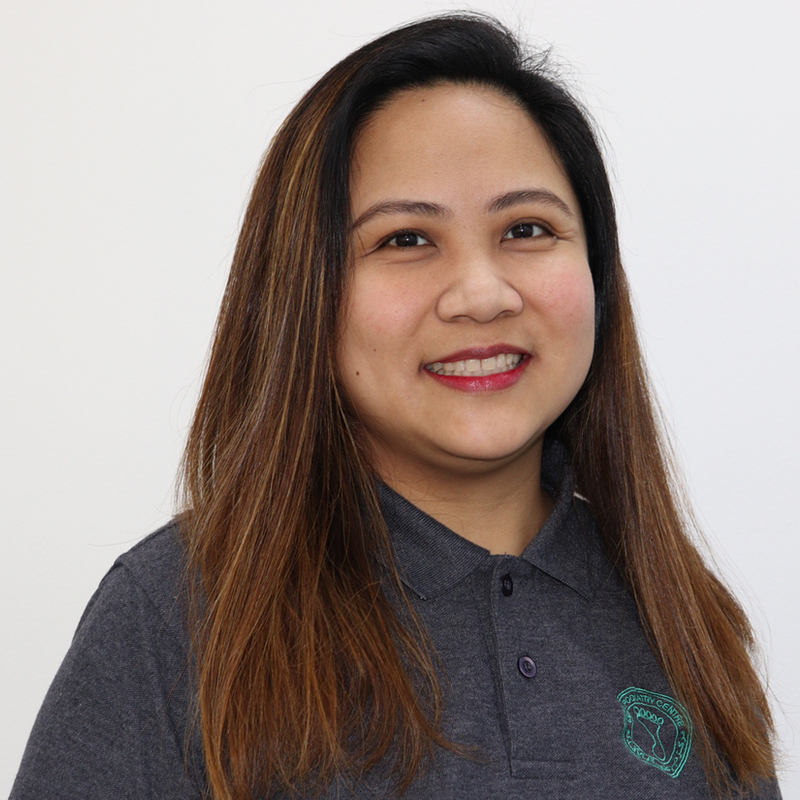 Elchie is one of two Nurses at the Dubai Podiatry Centre. Her speciality is in pediatric care, which is why the children that come to the Dubai Podiatry Centre enjoy meeting her. Elchie enjoys helping the children choose their insoles and orthotics colours and taking casts of their feet. 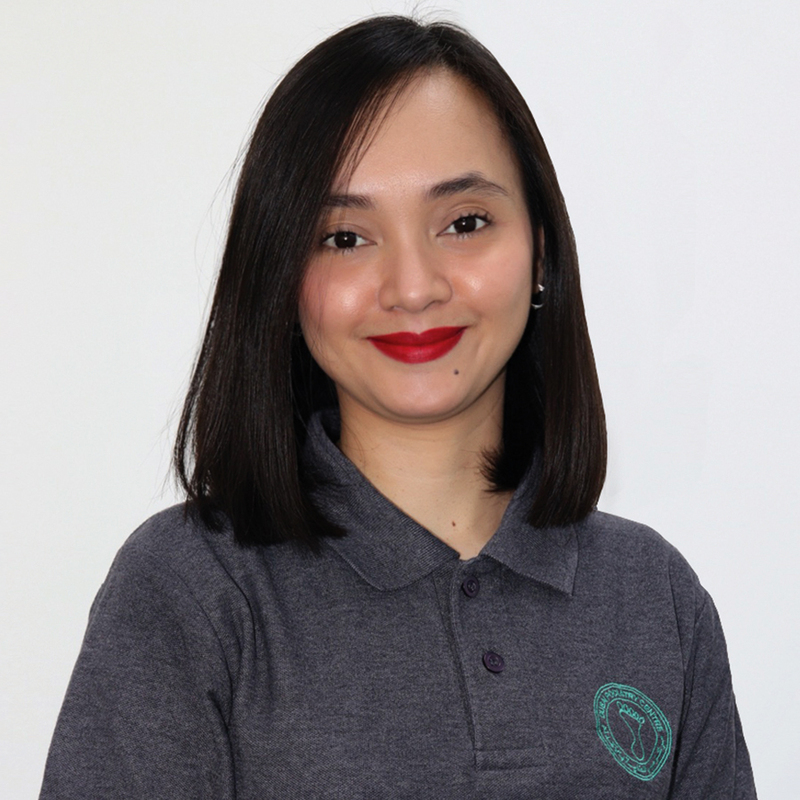 Aileen is one of two Nurses at the Dubai Podiatry Centre. She is Pediatric Nurse and enjoys spending time with children in the clinic. 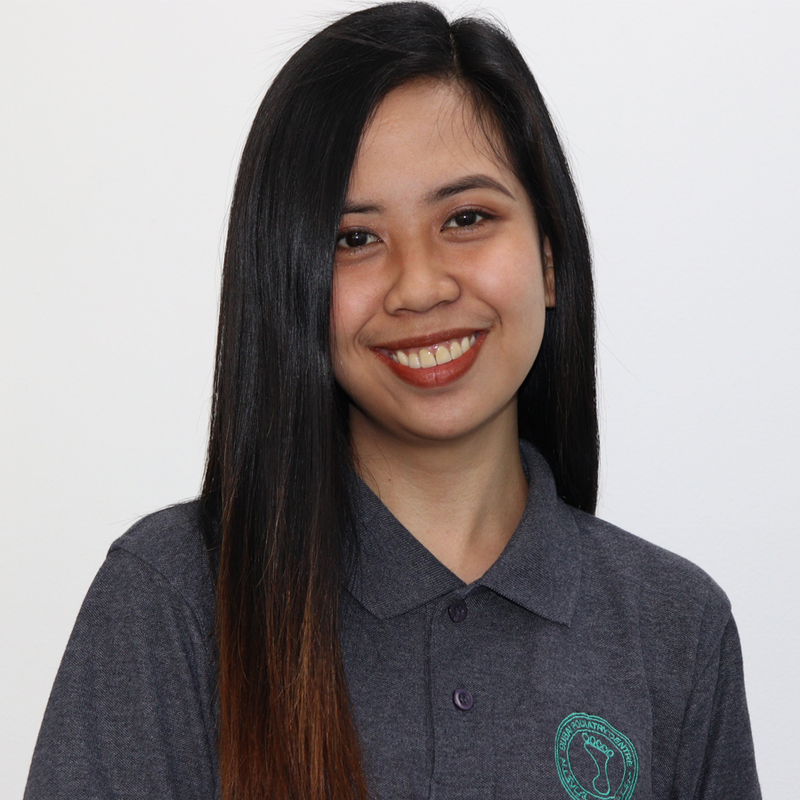 Aileen enjoys making videos, taking pictures and updating the shopify account for our social media in the clinic. She is tech savvy and keeps us on our toes!